🎂 This plugin is going to celebrate it's 8th anniversary after 1 month. 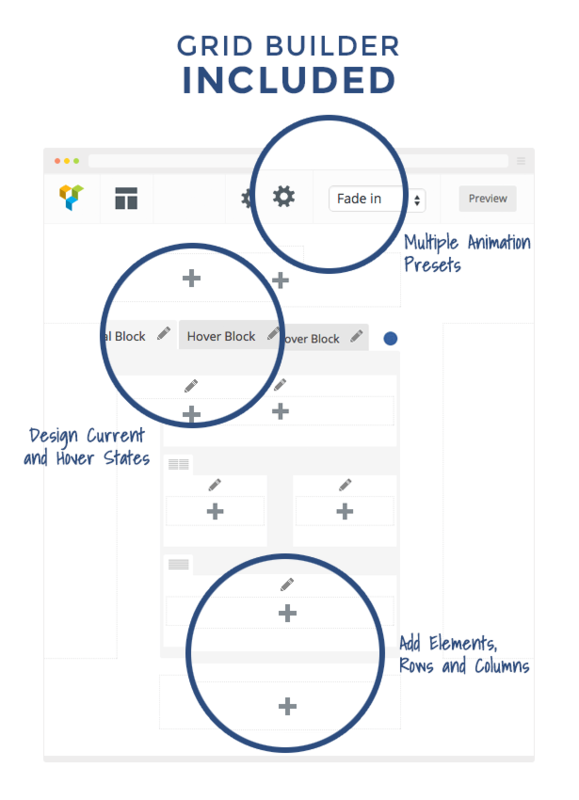 Visual Composer – current version 5.0 available for download! .po and .mo files included, for easy translation (BG, DE, ES, IR, FR, IT, JP, NL, PL, BR, RU, TW contributed by users). 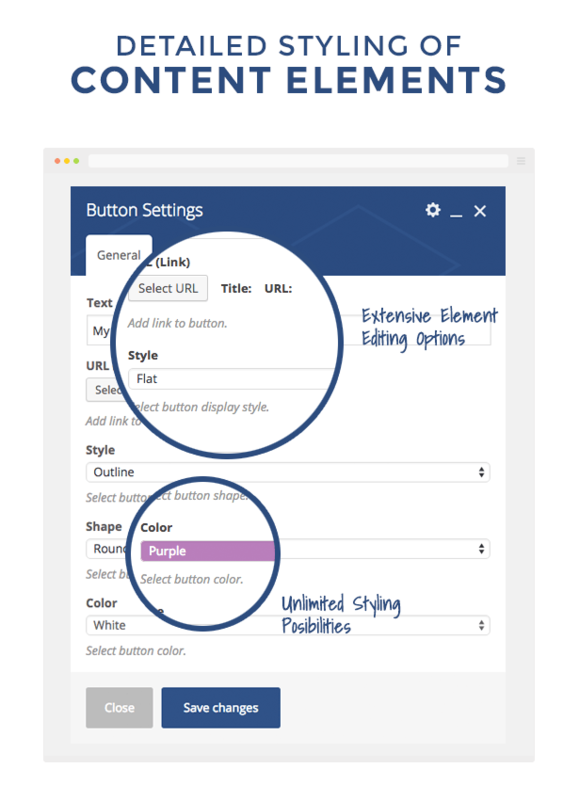 Control user group role access to the features and options of Visual Composer – manage WordPress default and custom roles. 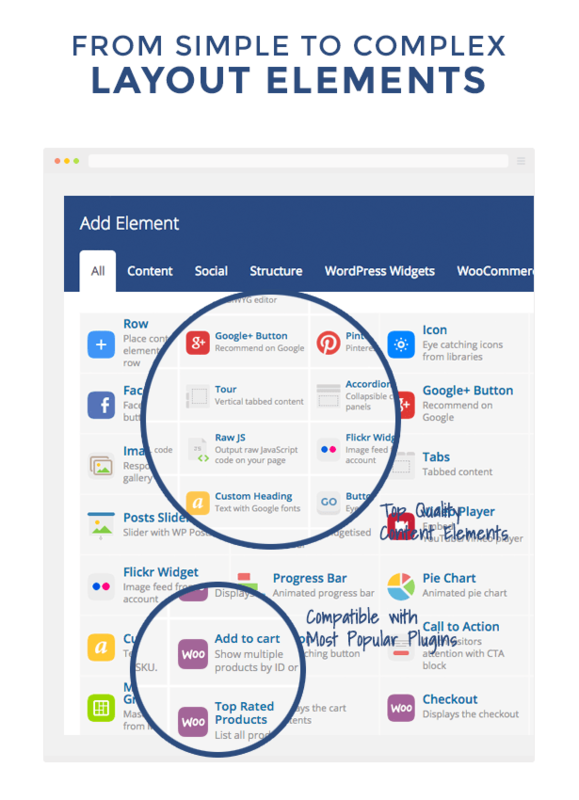 A simple Visual Composer template tool for content elements, to streamline content management. Save content element presets directly from the element param window, and set default states for even faster access to your styles. 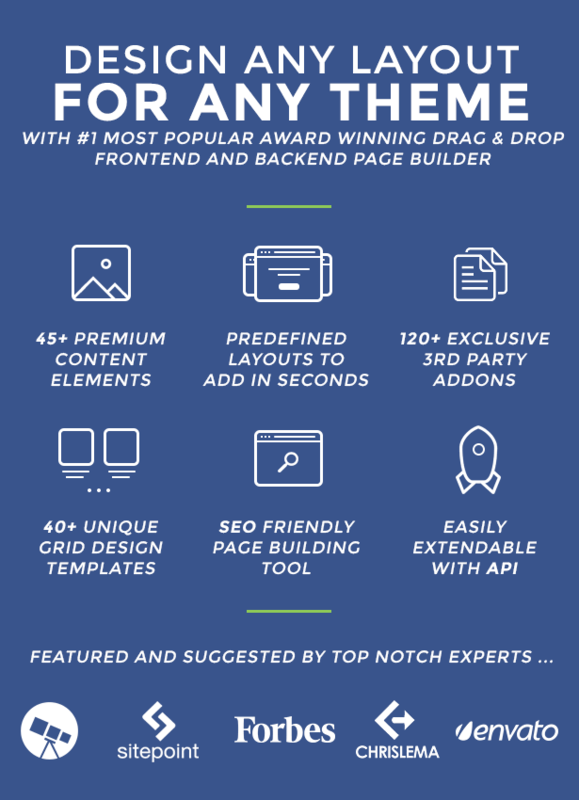 Visual Composer is already powering 1,500,000+ WordPress websites worldwide, and the number is growing rapidly. 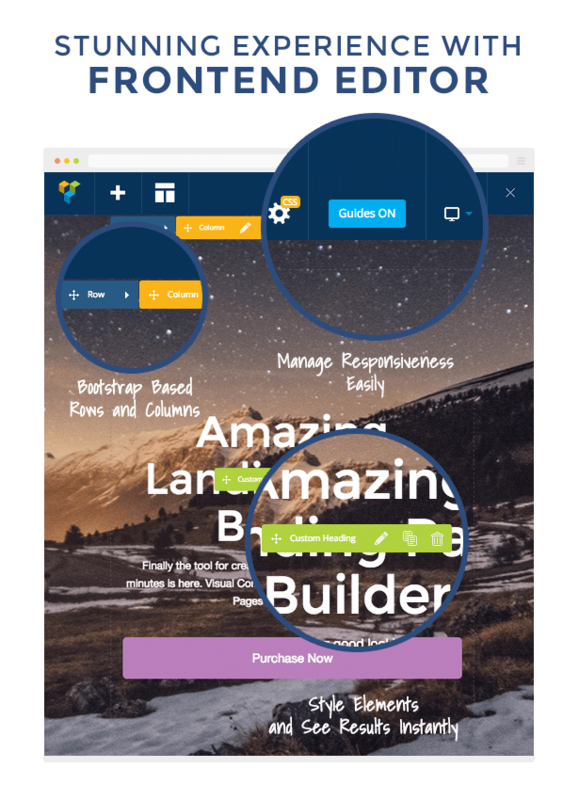 Below, you can check out a few examples of all that is possible with the help of Visual Composer. See what it could do for you! One of the worst plugins that I have ever bought and used. Don't fall for other good reviews, you'll regret it, there are many other good page builders that you can use. In order to use this plugin, you have to buy other add-ons. It is one of the worst page builder and very poor documentation. Te permite componer de manera visual muchas cosas de manera muy sencilla. 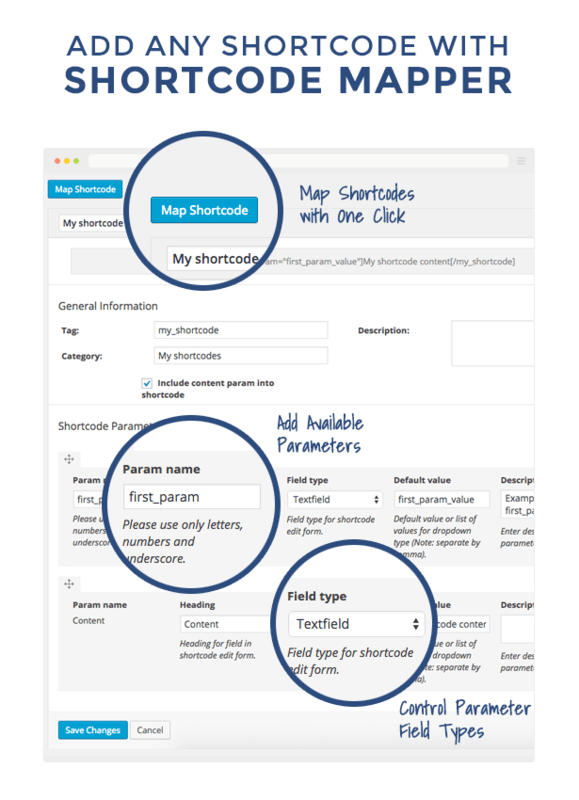 Makes WP design so much easier and intuitive. Exellent! This plugin not needs to be explained! 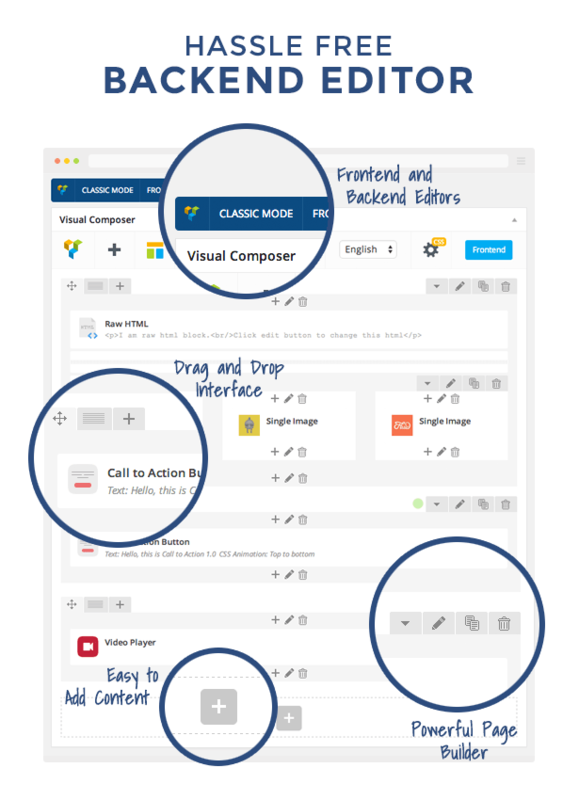 Fantastic plug in - enables non tech people to easily build and manage a website!